The Sing For Your Life! Choir is a community choir based in Hobart, Tasmania, Australia. Since starting up in 2005 with about a dozen members, we now have more than 120 singers regularly rehearsing and performing together. We are an a cappella choir, which means we sing unaccompanied (no instruments; just voices), and we sing a great range of songs from around the world. Although our repertoire includes gospel songs, we are not affiliated with any religious groups. Highlights in recent years have included performing at many festivals, fundraisers and other events, and celebrating our tenth birthday in 2015. In 2016 more than sixty of us travelled to Ireland to sing in the Cork International Choral Festival, and we had such a great time that another group is heading to Cork in 2019. We are open to anyone who would like to come and sing with us - no auditions, no sheet music, and no stress! To find out more about coming to sing with us, click on 'Join the Choir' in the top menu. Although we usually accept new/returning members up until the end of June each year, due to unprecedented high numbers at our rehearsals in February/March, we are officially FULL for this year and we are CLOSED to new members for the rest of 2019. If you've been planning to join this year as a new member, but haven't made it to a rehearsal yet, we're really sorry but you won't be able to join this year. If you've attended in previous years but haven't yet made it 'back to choir' for 2019, you'll also need to take a year off. If you'd like some help finding another choir to sing with this year, please email Jane (choir@tadaa.com.au) and she'll do her best to help you! The Sing For Your Life! 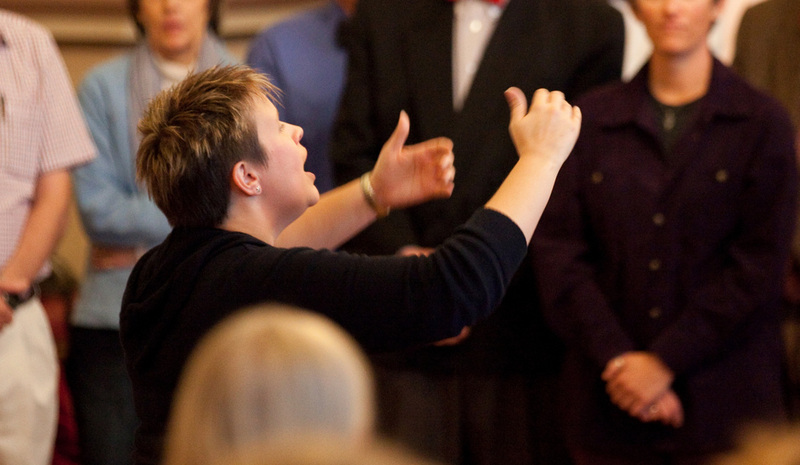 Choir started in 2005 as a program funded by the Multiple Sclerosis Society, for people living with MS. After six months of about a dozen people singing regularly together, the MS Society program ended but the singers wanted to continue. In March 2006 we became the 'Sing For Your Life!' Choir, and began welcoming new members, with the choir now open to anyone who wants to join. We currently have more than 100 'active' members who like to perform, plus about 20-30 more singers who drop in for a sing when they can but who choose not to perform. An important concept which we foster in the choir is what we call 'Choir = Community'. We work to build a sense of community within the choir, and we also look beyond our own group with the aim of 'giving back' to the wider community whenever we can. Most of our performances are public or community events, and more often than not audiences can come to watch us for free.